Brian and Charlie work for a gangster. When their boss learns they want to “leave”, he sets them up to be killed. Two common thugs, Brian Hope (Eric Idle) and Charlie McManus (Robbie Coltrane) pull off a bank heist with their mob, but their boss is killed and replaced with a young, brash one, Mr. “Case” Casey. Disapproving of Casey’s methods, Brian and Charlie wish to leave, and a corrupt auto dealer, Norm, on Casey’s payroll, desiring the same, tells Casey of this. Casey has Norm killed to make an example of him, apparently intending to spare Brian and Charlie. Meanwhile, Brian meets and begins a romantic relationship with Casey’s waitress Faith Thomas (Camille Coduri), a short sighted aspiring psychology student. Brian and Charlie ultimately come up with a plan to betray their gang and flee the UK, whilst robbing a Triad gang of their ill-gotten money through drug dealing. However, Casey, no longer trusting Brian and Charlie, plans to eliminate them at the same time, ordering his hit men, Abbott and Morley, to kill them during the Triad gang robbery. Faith, having overheard all about the plan, tries to remove Brian from the scene, but fails. Brian and Charlie’s plan to rob the Triads and flee, goes well until their car runs out of petrol, as Charlie had forgotten to refill it. 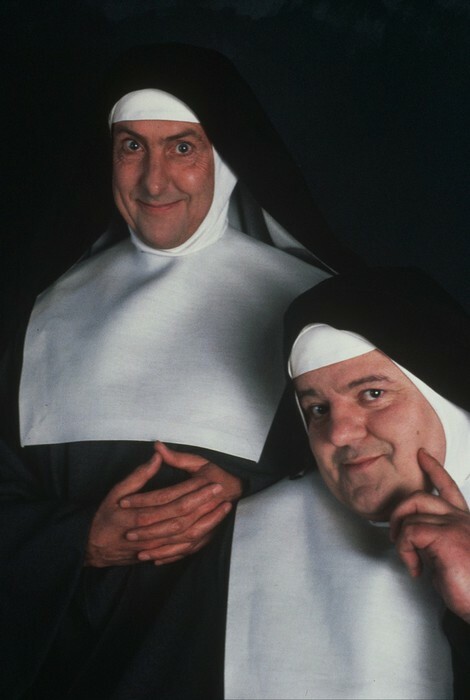 They flee the Triads, Abbott and Morley on foot and hide in a nunnery, later dressing up as Nuns and introducing themselves to the Sister Superior, Liz (Janet Suzman) as Sisters Euphemia (Brian) and Inviolata (Charlie). When Casey comes to know about their back-stabbing, he becomes enraged and places a bounty on Brian and Charlie’s heads.